USA – Chris Maguire is not a guy who is known for going small. He has lit some of the biggest, loudest bands in the rock pantheon, including Ted Nugent, Cheap Trick, Foghat, Accept and KISS frontman Paul Stanley’s Live To Win tour. But right now he is out carrying an Avolites Tiger Touch II, plus an Avolites Quartz as a backup in his carry-on, lighting YouTube sensations 2CELLOS on a tour that proves that small does not mean meek. It’s a story that sounds more like a TV movie than reality. Croatian cello prodigies Luka Šulić and Stjepan Hauser graduated from prestigious UK music colleges in 2011. Both had a pile of international awards and could have – and, indeed, would have – been expected to go to work with one on the major symphonies they had already performed with. Instead, they made a video of their own arrangement of Michael Jackson’s “Smooth Criminal,” which went viral with more than 15 million views before they even established an official YouTube channel and now has more than 30 million views. And that’s nothing compared to their video of AC/DCs “Thunderstruck”, which has been viewed more than 57 million times. 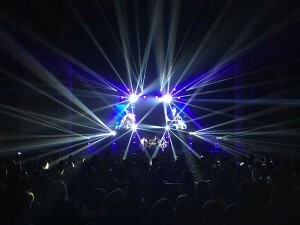 Maguire started with 2CELLOS doing the US portion of the tour in 2014. He has been a self-proclaimed “Avo guy” for his entire career and used an Expert and Pearl on the last trek. This is his first outing with the Tiger Touch II, supplied by Toucan Productions. 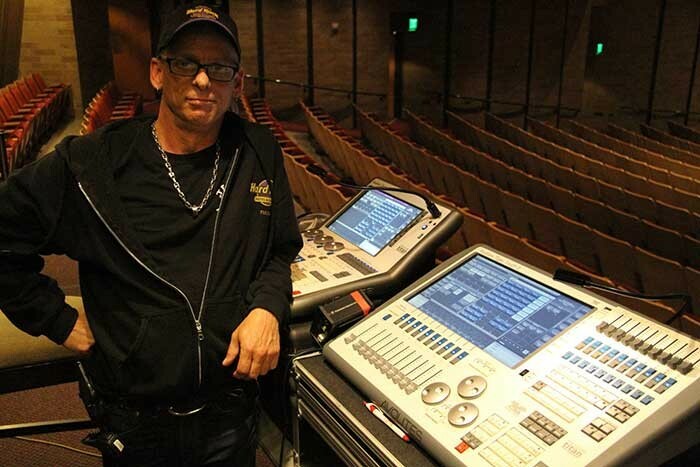 Being a rock and roll road warrior, it is no surprise that while he appreciates the increased creative abilities of the Titan series, especially when married to modern LED fixtures, his real focus is on the nuts and bolts of making the show happen. When Maguire is not working with 2CELLOS, he works as the stage manager for REO Speedwagon. “I brought my production manager for REO out to a show the other night. He never comes out to shows but I told him he had to see this. This is two classically-trained musicians and they start out playing Bach, and then the next thing you know they are into AC/DC’s “Thunderstruck” and the crowd is on their feet. When the show was over he told me he was blown away. He said he just couldn’t believe what came out of two cellists and a drummer. In picture: Lighting designer Chris Maguire with the Avolites Quartz and Tiger Touch II desks out on 2CELLOS’ North American tour.